State- and provincial-level YHEC programs, hosted by volunteer instructors, draw an estimated 10,000 youths each year. Top ranked individuals advance to the annual NRA International Youth Hunter Education Challenge, the pinnacle of the program. Since its inception in 1985, YHEC has reached more than a million young sportsmen and women. the Youth Hunter Education Challenge Guidebook! Click here to download the 2014-2015 Official Rules and Regulations. 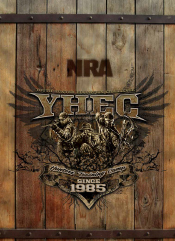 For more information, call us at (800) 492-4868 opt 3 or email yhec@nrahq.org.